The Revster electric scooter delivers fun the instant you start riding! 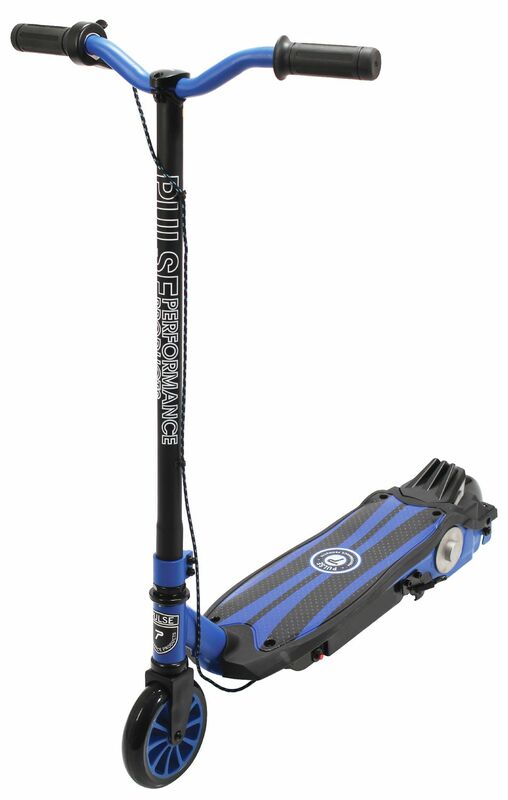 Perfect for kids stepping up from a kick scooter or those new to riding. Our Push-To-Go technology provides a smooth start and the extra grip deck adds stability. The Revster electric scooter gives the rider up to 45 minutes of continuous riding on a single charge. 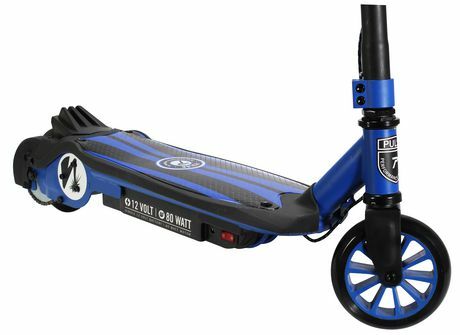 The maintenance free wheels are puncture proof, and the durable chain drive system transfers power efficiently for speeds up to 8 MPH. An integrated rear foot break has a motor power shut off that ensures quick and safe stopping, even if the thumb throttle is still pressed. 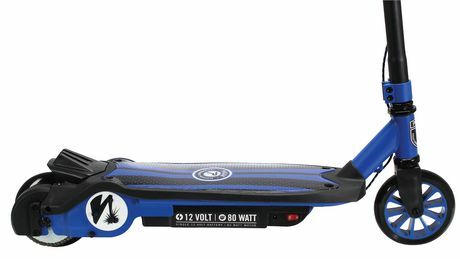 You get 80 Watts of power, 12-Volt rechargeable battery, and long lasting vibrant graphics.